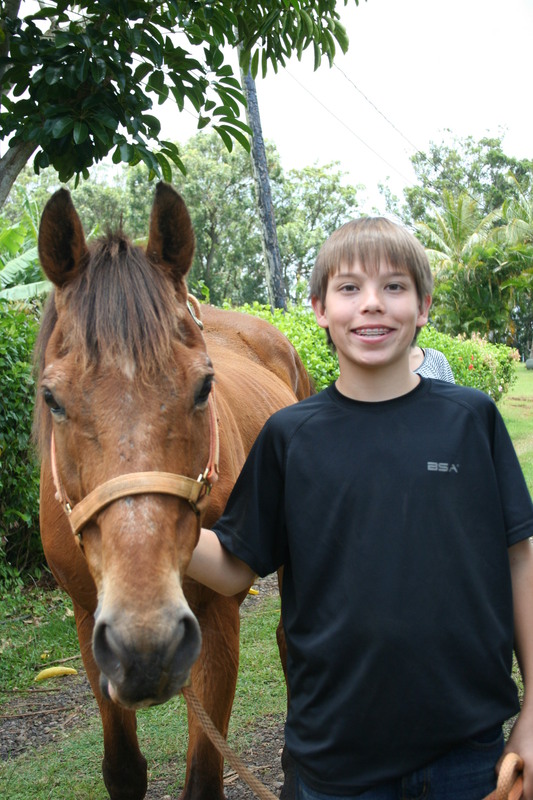 Sunset Ranch has teamed up with the Boy Scouts of America’s Aloha Council to offer Scouts the opportunity to obtain their Horsemanship Merit Badge. Programs are offered to individuals and troops throughout the year and during summer camps. Shortly following their arrival at Sunset Ranch, Scouts go out to the lower pasture, catch their equine partners for the day and begin theexciting, hands-on learning process. Each day Scouts practice the skills covered in the Horsemanship Merit Badge Handbook, including: grooming, saddling, riding, and over-all care. Other topics covered in this exclusive program include equine health, anatomy, nutrition, breeds, and tack. 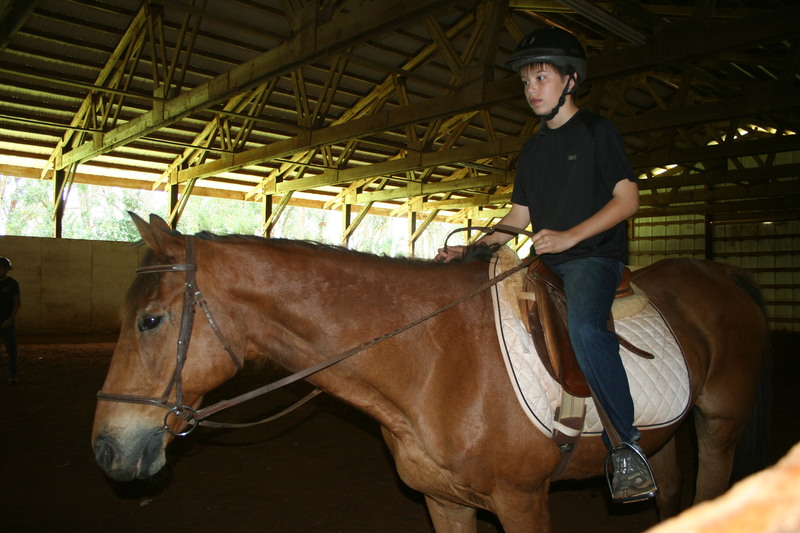 Daily rides focus on obtaining the mounted skills required for the Horsemanship Merit Badge. Mounted skills learned include: walking, trotting, turning, stopping, and backing. 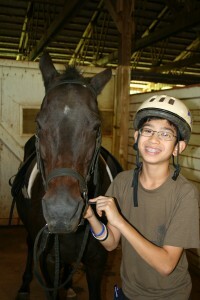 One unique aspect to our program at Sunset Ranch is that Scouts are encouraged to try both English and Western style riding. 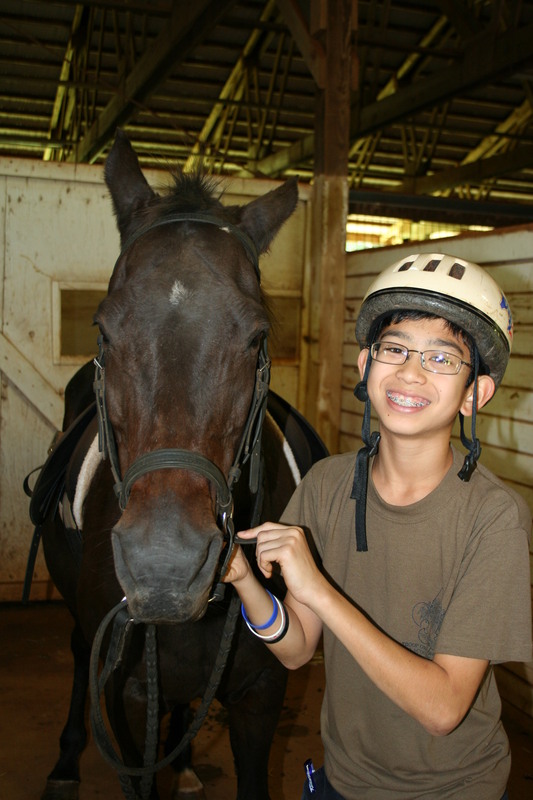 Please contact us at (808)638-8333 for more information regarding our Horsemanship Merit Badge offering, or any other riding programs at Sunset Ranch. Mahalo nui loa!